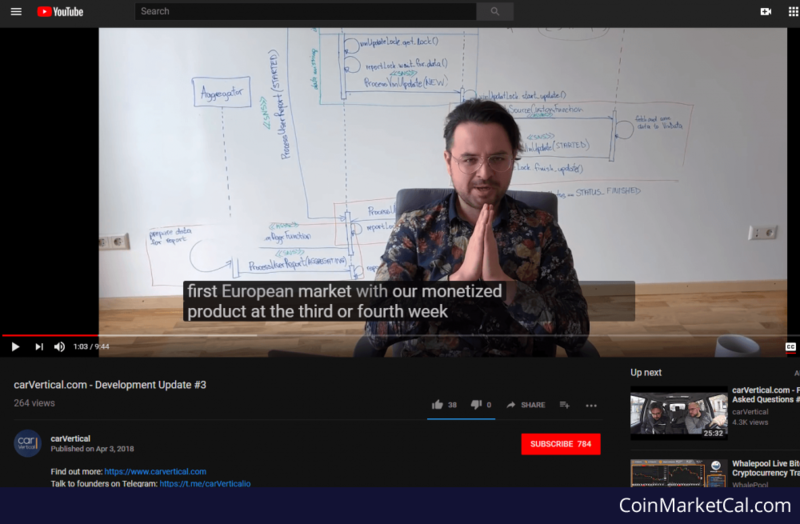 Planning to enter 1st European Market with a monetized product ahead of original roadmap schedule (3rd or 4th week of May). 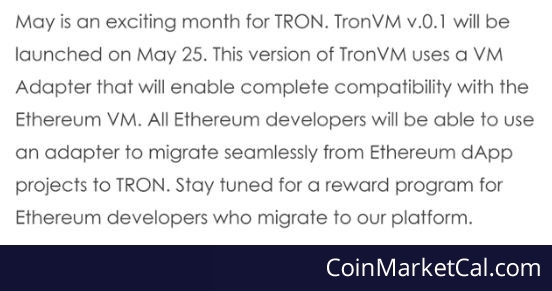 TronVM v.0.1 will be launched May 25. This version of TronVM uses a VM adpater that will enable complete compatibility with the ETH VM. "The first Blockchain & Bitcoin Conference in Finland: discover the prospects of blockchain and cryptocurrency for your business! " 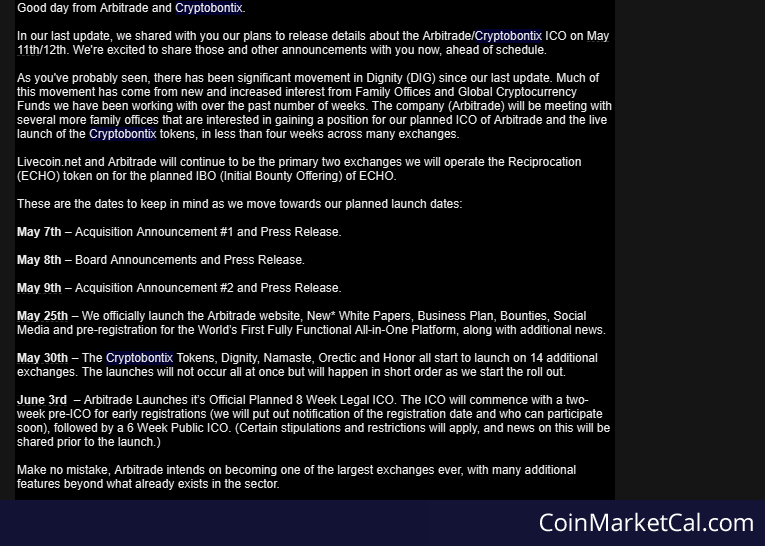 "We officially launch the Arbitrade website, New* White Papers, Business Plan, Bounties, Social Media and pre-registration for exchange...."
"Launch of fully functional Android & iOS mobile apps with global booking support for 100,000 hotels and 1,500 vacation rentals." 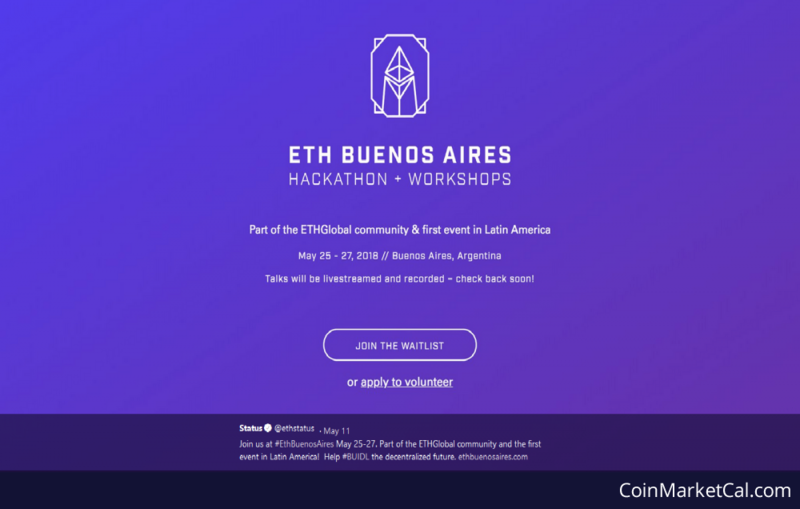 The Blockchainhotel conference #BTCM2018 enters the second round. Two full days in which participants and speakers meet face to face. 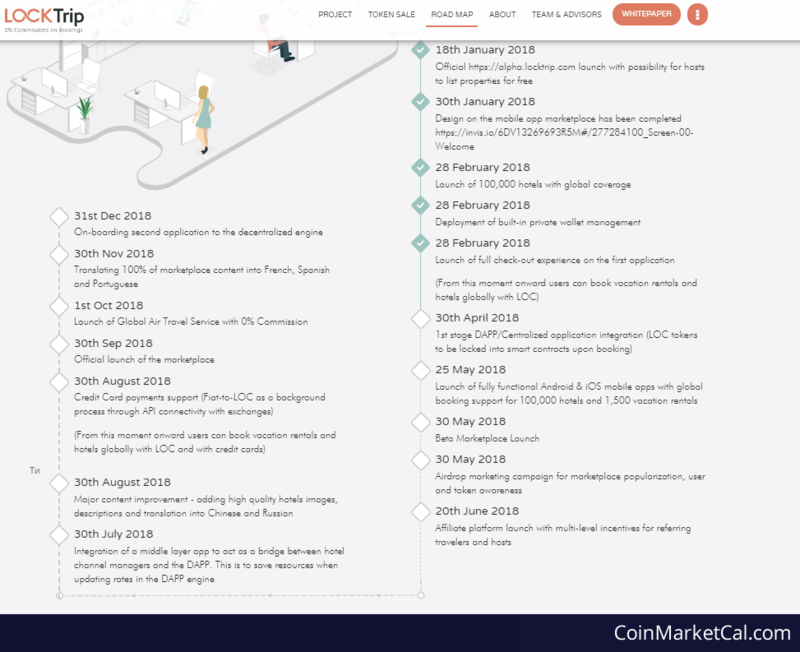 "We are starting the design phase of the interface and now we want to share with you the first developments on the 25 of May." INS is delighted to form a new partnership with Vivid, the UK's number 1 matcha green tea drink brand. 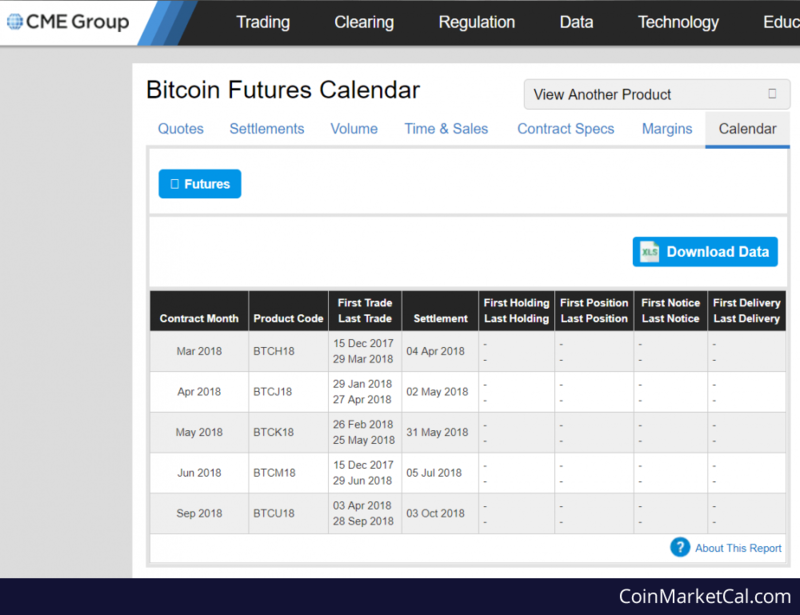 "May 25th at 19:30 UTC. 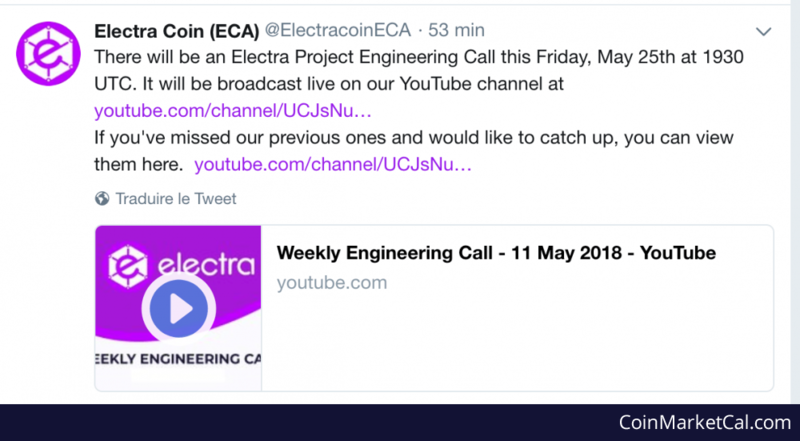 It will be broadcast live on our YouTube channel at: https://www.youtube.com/channel/UCJsNuZ3smLeQ4ldA5UBGNqA/live." 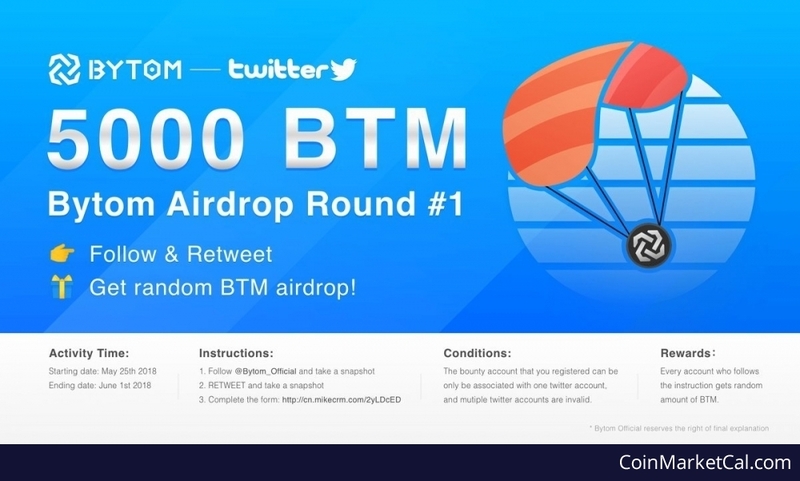 Bytom Airdrop Round 1: Retweet+Follow @Bytom_Official to get random amount of 5000 $BTM airdrop. 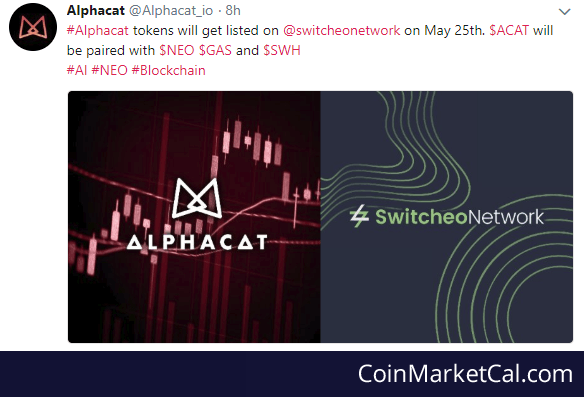 "Alphacat tokens will get listed on Switcheo on May 25th. 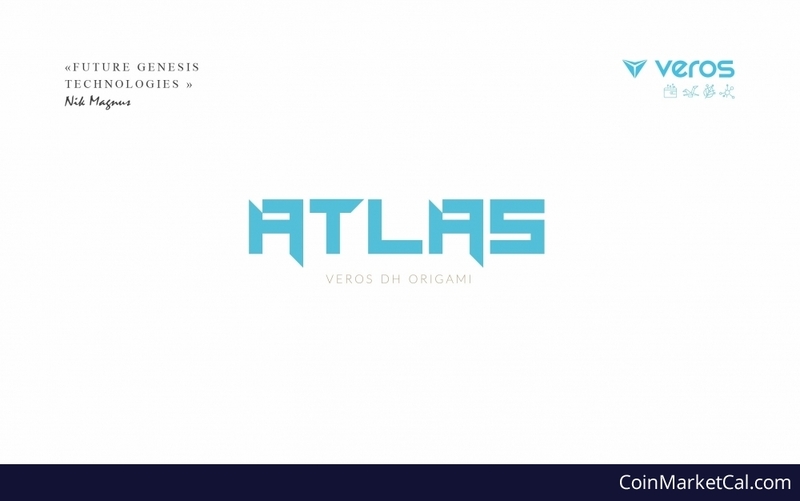 $ACAT will be paired with $NEO $GAS and $SWH." 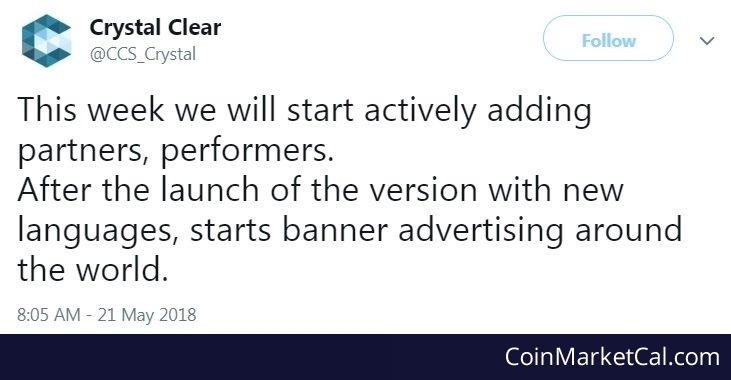 "This week we will start actively adding partners and performers." 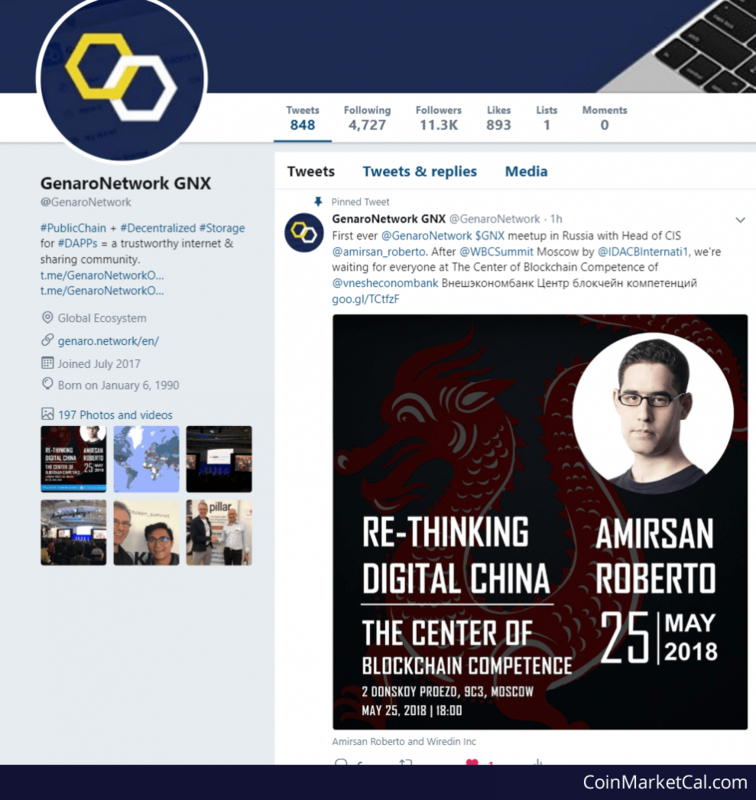 First ever GenaroNetwork $GNX meetup in Russia with Head of CIS Amirsan Roberto at The Center of Blockchain Competence goo.gl/TCtfzF. Datawallet & DATA & DCC Meetup this Friday, 25th of May, 6:30 pm at the InterContinental Grand Parnas Seoul.